Jalandhar, India is a part of the Logistics Plus® network. This office provides air and ocean freight forwarding, inland ground and rail, warehousing and distribution, project cargo, import/export, and global trade compliance services. Jalandhar is a city in the northwestern India state of Punjab. The oldest city in Punjab, in recent years it has seen rapid urban growth and has developed into a highly industrialized center of commercial activity. Jalandhar was the capital of Punjab from India’s independence (1947) until Chandigarh was built in 1953. Situated on the Grand Trunk Road, it is a major rail and road junction, and is 144 km northwest of the state capital, Chandigarh. 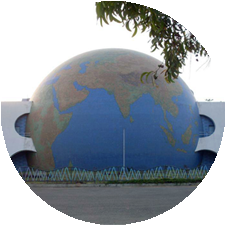 Jalandhar, being the center city of Punjab, provides goods like glass and furniture to neighboring cities, and is a hub of sports manufactured sports goods. Jalandhar is also home to a Logistics Plus office where we proudly serve both small and large businesses throughout the region. If you’re located in Jalandhar, or any other surrounding community, your friends at Logistics Plus are ready to provide you with local, domestic, and global transportation and logistics services. Additionally, we’ll show you how our people in India put the “plus” in Logistics Plus by doing the big things properly, and the countless little things, that together ensure complete customer satisfaction and success!